The EBow: what is it and how does it work? Some tips on playing the EBow. Gizmotron Mechanical bowing device, mounted as a bridge replacement. Kramer Sustainer The Floyd Rose Sustainer guitar. TogaMan GuitarViols We love it. A guitar you can really bow. Check it out. Circuit Bending A method of discovery after my own heart. The Bowed String How a bow activates a string. Project Guitar Excellent sustainer discussion started May 1, 2004 which continues today. Flickr Some interesting EBow pictures. 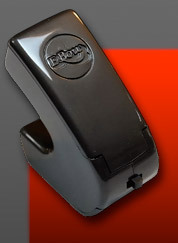 Google Image Search Images of the EBow. YouTube Search for latest YouTube videos with ebow tag.